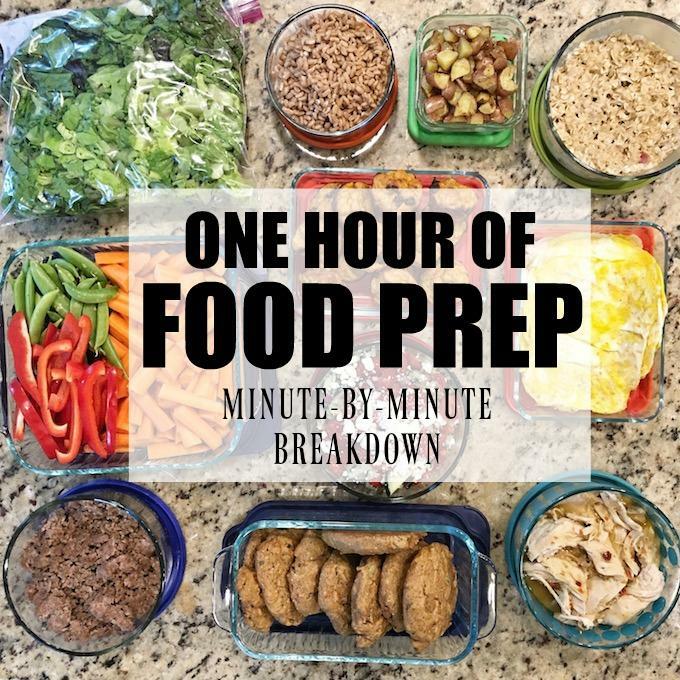 Here’s a food prep session breakdown – An in-depth look at what I prepped, the order I did things in and how I got it all done in one hour! 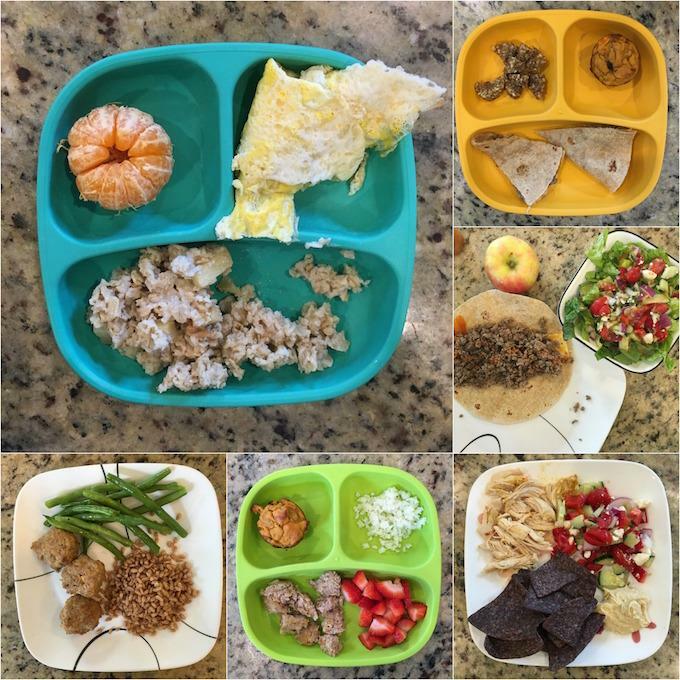 Plus a look at the meals we ate during the week. 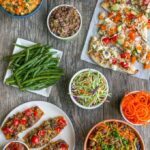 One of the most frequent questions I get is how I can possibly get so much food prep done every Sunday. Let me start by saying that I’ve had a lot of practice. You shouldn’t look at one of my food prep sessions and think you’ll be able to do as much as I do on your first few tries. Just like anything else, it takes practice. 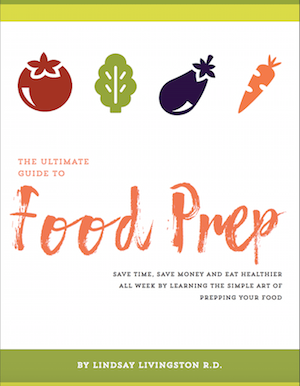 Be sure to check out last week’s post about How To Find Your Food Prep Focus Area and this post with food prep tips for beginners if you’re just getting started. Anyways, I thought it might be helpful to show you one of my prep sessions and then give you a by-the-minute- breakdown to show you the order I did things in and how long it took me. Min 1-5: Preheat the oven, microwave sweet potatoes (I slice some slits in mine with a knife and microwave 2 of them at a time for 6 minutes, start the Instant Pot Hummus Chicken (just throw chicken, hummus, garlic and broth into the Instant Pot and start it), start farro on the stove. Min 5-15: Peel and chop carrots & chop peppers for snacking. Start cooking ground beef in a cast iron skillet on the stove. Min 15-20: Use one of the sweet potatoes you microwave to make the batter for the Sweet Potato Bites and spoon into mini muffin tins. Drain the beef, finish cooking it and transfer to storage container. By now your oven should be preheated. Min 20-30: Bake the sweet potato bites, deal with a fussy baby by putting her in the Ergo, chop veggies for Greek Hummus topping and shred the chicken when it finishes cooking. 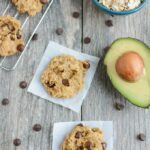 Min 30-40: Use the other sweet potato you microwaved to make the batter for the Sweet Potato Protein Cookies and scoop onto a cookie sheet. Min 40-50: Take the sweet potato bites out and put the sweet potato cookies into the oven, chop the lettuce, wash it and spin it dry and store it in a Ziploc bag. Make the oatmeal by combining oats, milk, chopped apples, cinnamon and peanut butter in a glass container and microwaving for about 3 minutes. Chop potatoes into small pieces, drizzle with oil and sprinkle with salt. Min 50-60: Take sweet potato cookies out, turn oven to 425 and stick potatoes in to roast. Make egg wraps while potatoes are roasting. So there you go! Like I’ve mentioned before, I don’t prep every single thing we eat. I still cook during the week and we go out to eat a few times. 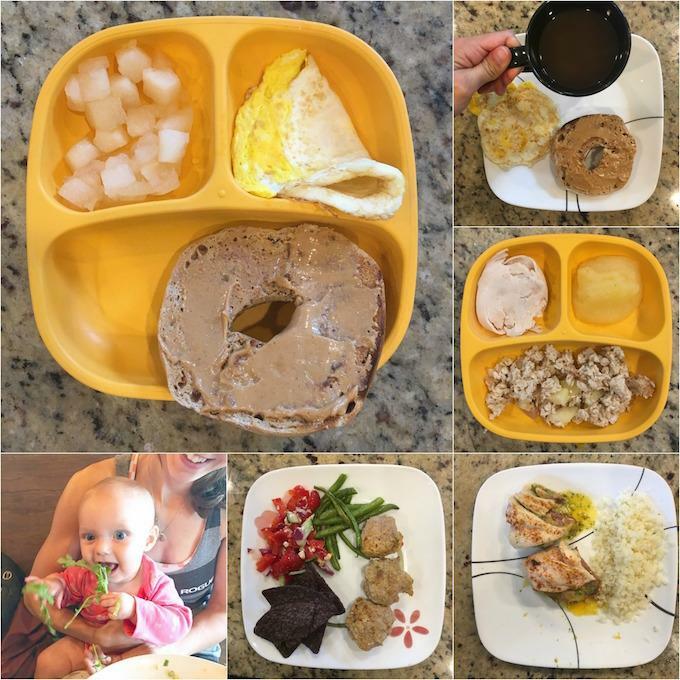 But, to give you an idea of how we use the prep I do, I tried to take pictures of most of our meals for the following week. 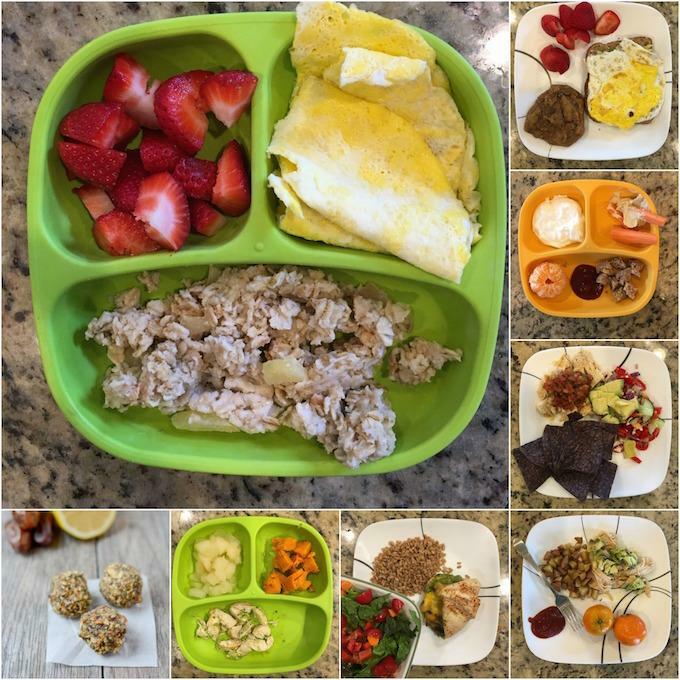 I missed a few…but this should give you a pretty good idea of how I use my prep to make life easier! Breakfast: Most weeks lately I’ve been making 5 Minute Breakfast Hash for hubby and I but I didn’t make any this week so we ate a few different things. This day we ate peanut butter toast (Crazy Richard’s Peanut Butter on Dave’s Killer Bread) and fruit, plus coffee (unpictured). Squish eats the oatmeal and eggs I prep ahead of time cold so all I had to do was scoop some oatmeal onto his plate and add an egg and clementine. Lunch: Hubby comes home for lunch since he works close by, but we all usually eat different things. I made Squish a quick quesadilla in the microwave with some of the ground beef I prepped and paired it with a lemon energy ball from the freezer (that I made in last week’s prep) and a sweet potato bite I prepped this week. Hubby made a taco with some of the ground beef and added some of the hummus topping I prepped to the prepped lettuce for a quick salad. I ate some of the hummus chicken, the hummus topping and some Garden of Eatin’ tortilla chips. Dinner: For dinner, I made a quick batch of Thai Chicken Meatballs after we got home from the gym. They take about 5 minutes to mix up and 20 minutes to bake. I paired it with some Steamfresh cauliflower rice for hubby and some of the farro I prepped for me….plus some roasted green beans that I threw in the oven on another baking sheet while the meatballs were cooking. 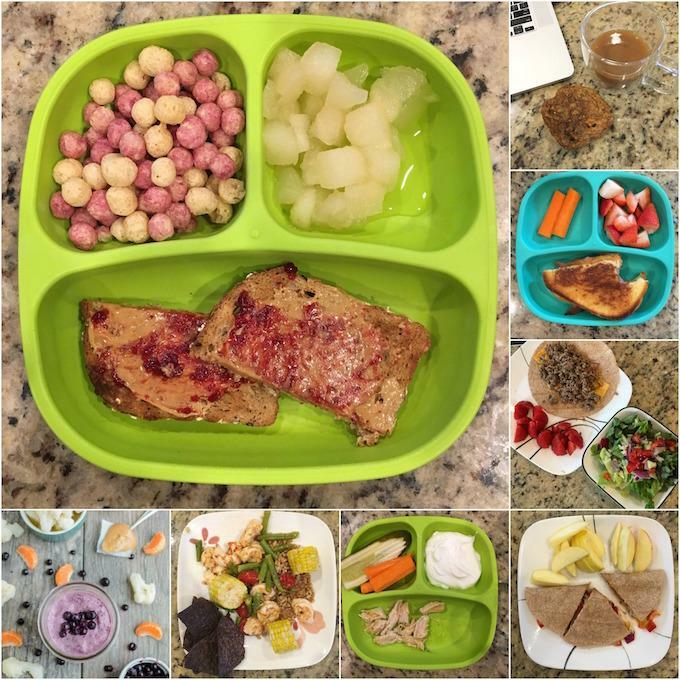 Squish got a meatball with some cauliflower rice, a sweet potato bite and some strawberries. Breakfast: Squish had a repeat of oatmeal, egg wrap and fruit. Hubby and I had avocado toast topped with a fried egg and fruit, plus one of my prepped sweet potato cookies for me! Lunch: Hubby had some of the prepped hummus chicken and potatoes topped with avocado and some fruit. Chase had a leftover meatball with ketchup, clementine, Siggis 4% plain yogurt and carrots with humms. I had a repeat of Monday’s lunch – chicken, hummus topping and chips and turned them into Mediterranean chicken nachos. Dinner: For dinner I used some of the thin-sliced chicken we bought, added some pesto, cheese and some bacon leftover from our breakfast for dinner on Sunday night to make Cheesy Pesto Chicken Rollups. 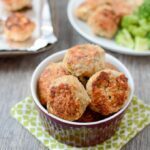 Another easy dinner – 5 min to make, 20 min to bake. I paired with a side salad using the prepped lettuce and some cherry tomatoes and some prepped farro. Squish has some chicken, plus pears and a sweet potato that I microwaved while the chicken was cooking. Breakfast: All the egg wraps were gone so I changed things up and made him a warm fried egg. My friends at Dave’s Killer Bread started making bagels and they sent me some to try so I also gave him half a cinnmaon raisin bagel with peanut butter and some pears. I ate the other half of his pb bagel, plus an egg for myself and some coffee. Hubby got avocado toast with an egg. Lunch: For lunch, Squish had the rest of his oatmeal, plus Plainville Farms turkey and applesauce. Hubby ate leftover pesto chicken and cauliflower rice and I ate leftover meatballs and green beans. Dinner: We often go out to dinner on Thursday nights bc we don’t have to be at the gym but there were schedule changes this week so we decided to go out Wednesday night. I forgot to take pictures but Squish had half a ham and cheese sandwich with mandarin oranges and carrot sticks with ranch. I had a southwest chicken salad and hubby had a Korean hangar steak. Baby girl enjoyed sampling my arugula. 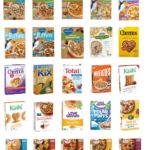 Breakfast: Squish had pears, pb&j toast and Love Grown Foods polar puffs. It was a crazy morning so all I had were 2 prepped sweet potato protein cookies and extra coffee. I quickly made some pb toast for hubby. Lunch: Squish had the leftover half of his ham and cheese sandwich with strawberries and carrots. Hubby made a taco with the prepped beef and potatoes and a quick salad with the prepped lettuce and hummus topping. I used some of the prepped chicken and hummus topper to make a quesadilla and an apple. Later we shared a Blueberry Cauliflower Smoothie for a snack (I prep and portion these and put them in bags in the freezer so we just have to grab, dump in the blender, add liquid and blend. Dinner: I tried out a new recipe – sheet pan honey lime shrimp – 2 min to prep and 10 to bake. It was ok but needs some work before sharing. Shrimp is not Squish’s favorite so he got hummus chicken with pickle, carrots and yogurt. Breakfast: Squish ate the last of his oatmeal with yogurt and fruit. Hubby and I had avocado toast with eggs. Lunch: I have no clue. Hubby was off work and I can’t remember what we ate! 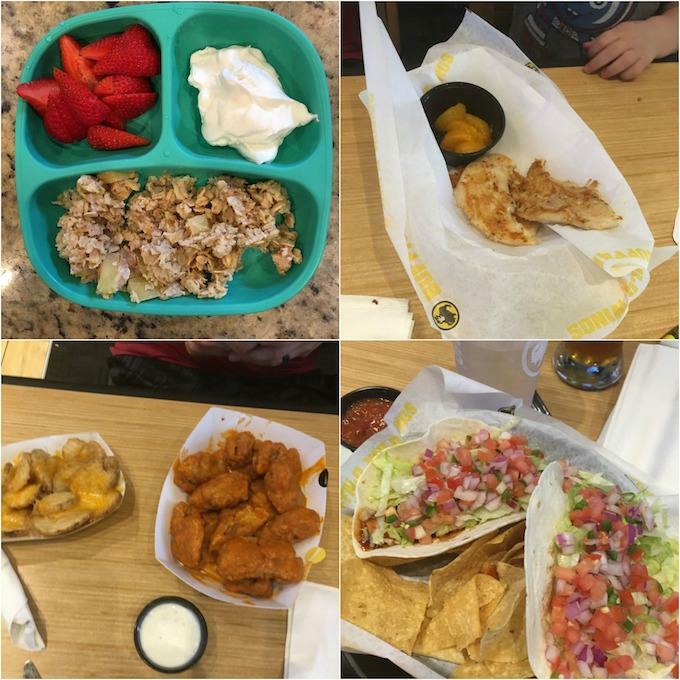 Dinner: We went to Buffalo Wild Wings after the gym. I got chicken tacos, Squish got naked chicken fingers with fruit and carrots and hubby got wings and cheesy potatoes. 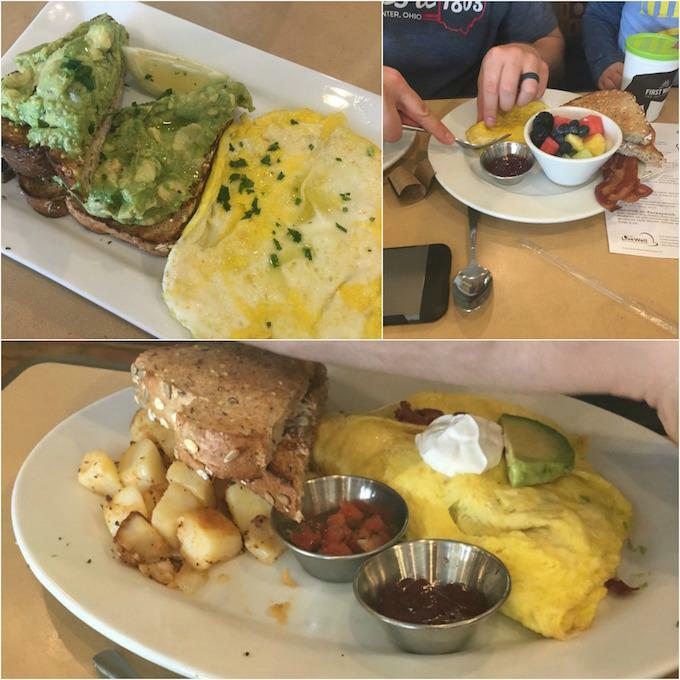 We went out for a post-workout brunch at First Watch. I got avo toast with fried eggs, Squish got a scrambled egg with bacon and fruit and wheat toast and hubby got a bacon avocado omelet with potatoes. That afternoon we went to a cookout with family and had burgers and brats. As you can see, I still cook during the week but the prep helps meals come together more quickly and with less effort. 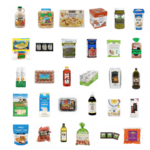 Please also remember this isn’t all we eat. Snacks aren’t pictured and I eat a lot of them! 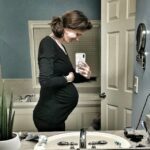 I hope this inspires you to try doing some food prep. I think sometimes it gets a bad rap because people feel like they have to prep every single thing they’re going to eat all week. Not true! 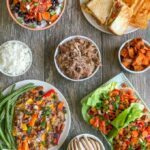 Prepping full meals is great, but prepping components and various parts like I do can be just as helpful! When you get ready to prep, remember to keep multi-tasking in mind. You can have things going on the stove, oven and counter all at once! 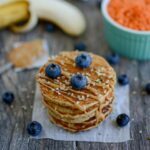 Sweet Potato protein cookies are something I am going to want to investigate further! haha! I got some of those Dave’s Killer Bread bagels too…… soooooo delicious! I wish you could come to my house and teach me! You make it seem so easy. I have tried over and over, and always get so overwhelmed. I admire your dedication to meal prepping! 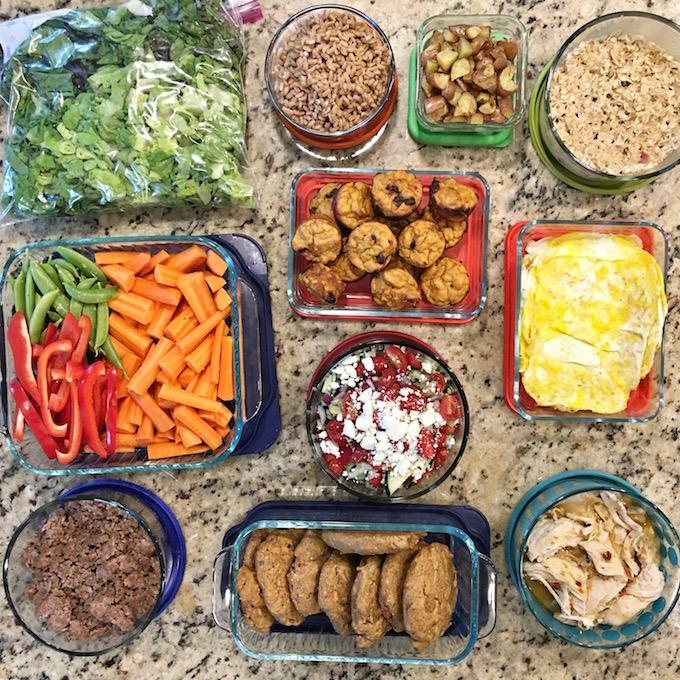 Gorgeous photos of the meal prep and super helpful with the time breakdown! LOVE the video component to this post. You get so much done in 1 hour! Love this! You inspired me to do some prep tomorrow 🙂 I got out of the habit when things got crazy busy with grad school but now that life has settled again I need to do this. 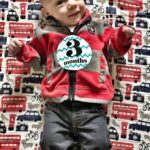 When my toddler wants to eat, he wants to eat NOW and I always feel so frazzled!